We’re taking it back to the days when fashion was questionable and ‘American Idol’ was tolerable. David Archuleta, the runner-up (to David Cook) of American Idol Season 7, recently sat down with Yahoo Entertainment to talk about his experience on the show, including the (mostly) unseen downside to appearing on reality TV. David– only 17 when he competed on ‘Idol’ during its heyday in 2008– opened up about the negative things that came as a result of his time on the show. 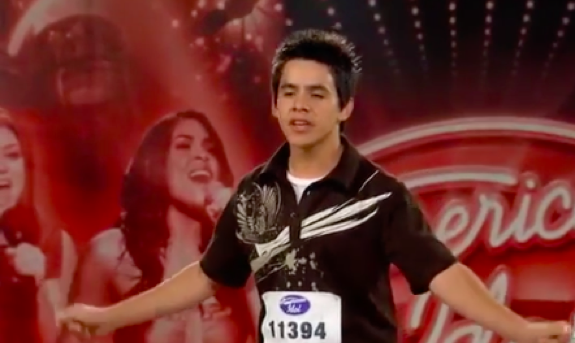 In honor of the 10 years it’s been since he belted it out in front of the OG ‘Idol’ judges…here are 10 of the craziest things we learned from David’s interview! “I think that there’s something about reality TV shows that’s a very interesting, unique experience, and it has its own kind of PTSD that comes with it,” David said, adding that he had little control over how he was portrayed on the show. “You’re basically a character on a TV show and parts of it are worked so that it fits the TV show — but they’re using your personal life. So you become this character, but it’s with your own name, parts of who you are, but other parts that are portrayed in a way that you’re not actually. 2. He– and many other former ‘American Idol’ contestants– saw a therapist who specialized in helping people who have appeared on reality TV. David revealed that Season 6 alum Melinda Doolittle helped him deal with life after ‘Idol’ by recommending he see a therapist who had helped other ‘Idol’ contestants. “I’m like, ‘Oh my goodness! I thought this was just me. I thought I was weird.’ And they’re like, ‘Nope, we’re all going through this.’ That’s so refreshing — to know that we’re not going crazy,” David said. 3. He still feels bonded to other former ‘Idol’ contestants because only they can understand what it was like to be on the show. David stated that the people behind ‘Idol’ purposely caused drama for his family. “Yeah, I don’t always get along with my parents and I did have some struggles with my dad, but I feel like a lot of those struggles were created by ‘American Idol,'” he said, adding that he was not ready for how the show would affect his loved ones. “They didn’t think about how it was going to affect my dad’s reputation. People say, ‘That’s the price that you pay and you got yourself into your own mess.’ But I didn’t know people were going to start talking about my family,’ David said. “[The producers] wanted to have something controversial to talk about. And there were times when I was really upset. I was young, and I was not good at speaking up for myself, so if the producers wanted to make something dramatic and to look a certain way, they would just do it. I couldn’t say anything about it. 5. A lot of the rumors about David and Jeff’s relationship were untrue. During his time on ‘Idol,’ the tabloids feasted on the rumor that Jeff was an overbearing stage dad, with stories popping up throughout the season about how Jeff mistreated his son. “Yeah, people would say, ‘So I hear your dad doesn’t give you water until you do this. I heard he made you cry.’ And it’s like, who’s saying this? Why would my dad not give me water? Where are people hearing this?” David said. 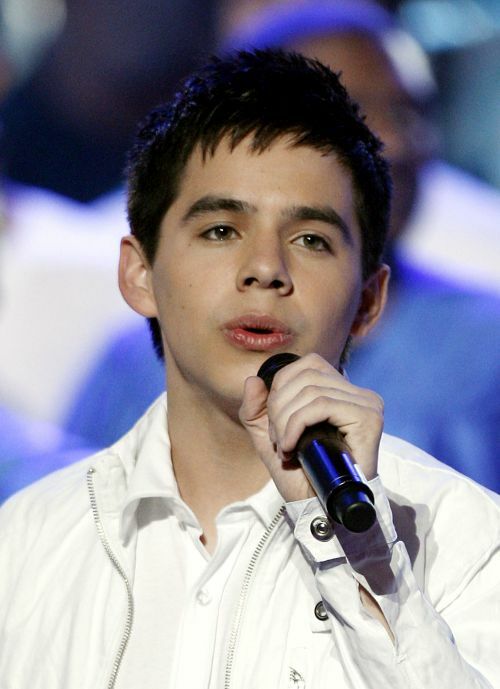 The effect that ‘American Idol’ had on David’s personal relationships put a lot of pressure on him, possibly more than being on the show itself, he said. “They don’t know what’s going on in my home. They don’t know how this is affecting us and how people look at us. But they’re OK with that, because it makes their show juicy,” he said. These days, the Archuleta clan is doing better. “They were like, ‘You wanna make it big, don’t you? Well this is what you gotta do,’” he said, adding that his dad was actually the one who told the label their “white Chris Brown” vision wasn’t going to happen. “If I didn’t have my dad there, I probably would’ve become the ‘white Chris Brown,’ just because I didn’t know what to say,” David said. 8. He compares being a young artist in the music industry to being lured in by a kidnapper. 9. Therapy has helped him overcome the trust issues he faced early on in his career. There was a period of time when David believed he had to be cautious of the company he kept—including family members—but therapy has helped him realize that it’s possible to let people into his life and become a more trusting person. 10. Despite not becoming the “white Chris Brown,” he’s still found happiness in himself and his career. It seems like everything he said was essentially the same thing just worded differently.